TapToo is a coaching and training office. We are focused on project realization with a social impact and commercial growth as well; We work together from idea all the way through to realization, discuss new business models centred around the impact economy and help you clarify your project. Our practical approach provides new insight and produces unexpected, beneficial results. Crowdfunding, community finance, crowdsourcing and initiatives for the sharing economy belong to the possibilities. TapToo comes from the Dutch word taptoe: a parade of people. Together with others realizing a project . 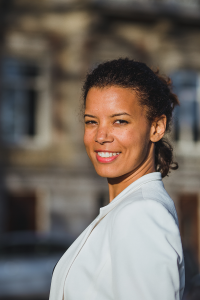 The Crowdfunding Compass and the Community Finance Canvas are designed by me, Annelies Lesuis. I have a background in psychology and law, and in my free time I like to travel, read and design. 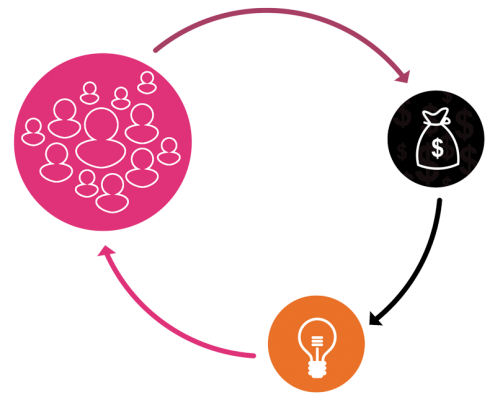 The crowdfunding method as a business tool has arisen because I saw that the playful component of crowdfunding helps people not only to think out of the box, but also leads to faster results. Through setting up a crowdfunding campaign you learn a lot about entrepreneurship in a very short time. The continuous interaction with people and the environment leads to unexpected results! Where do I get my inspiration from? I get energy when I see a twinkling in someone’s eyes when a project is growing. Or when a solution has been created for something that was not held as possible. And then things get up and running. I believe in possibilities. It is powerful entrepreneurship if you know how to be flexible and persistent at the same time. I really admire that. When I’ve been able to get people in the right direction, I’m really glad I got the chance to see those processes happen. © 2018 TapToo • CC. Amsterdam 55059007 • Privacy • Proclaimer • Credits • TapToo comes from the word taptoe. Dutch for parade, a group of people. Everybody can be part of it.